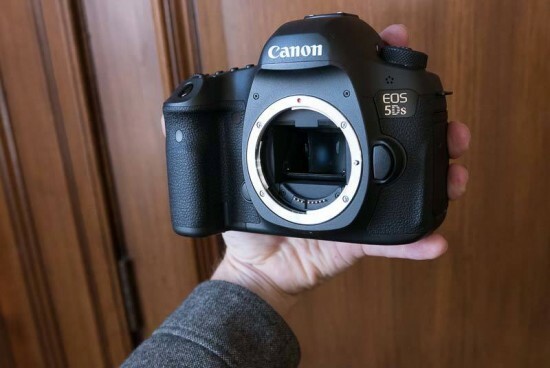 The new Canon EOS 5DS and the 5DS R DSLR cameras have a 50.6mp full-frame CMOS sensor at their heart, surpassing the 36 megapixel sensors found in the D810, and maybe even rivaling the 51.4 megapixel sensor found in the much more expensive Pentax 645z medium format digital camera. Nikon have dominated the high-resolution sector of the DSLR market during the last few years, with Canon seemingly reluctant to join in. Now though, the Canon EOS 5DS and the 5DS R have moved things onto another level, and it will be interesting to see how quickly Nikon responds. We're also curious to see if Canon issues any recommendations for which lenses to use with these new megapixel monsters. 50 megapixels is a lot of resolution for a lens to resolve - at the Canon EOS 5DS/5DS R UK launch event, we were told unofficially that lenses released in the last three years would be fine to use with the new cameras, and that Canon are currently doing in-house testing on their more popular lenses. Officially, Canon are saying that the EOS 5DS and EOS 5DS R are compatible with Canon’s extensive EF lens range, spanning 71 models, but presumably older lenses will struggle at the edges of the frame, so would-be 5DS/5DS R owners may have to invest in new lenses to get the best out of their new camera. 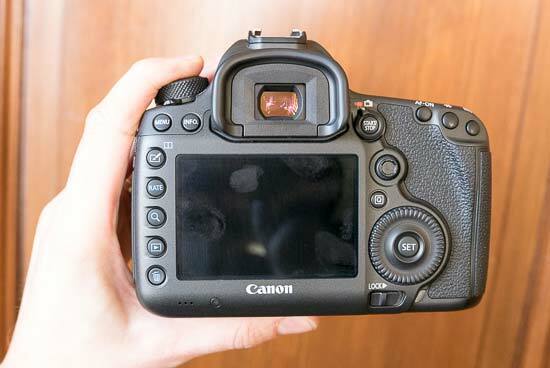 Both the Canon EOS 5DS and the 5DS R feature exactly the same control layout as the tried and trusted EOS 5d Mk III camera, so current Canon semi-pro DSLR owners will quickly feel at home with the new models. The 5DS/5DS R are so similar that the 5DS R features a "low pass filter canceling effect" by utilizing two low pass filters, the second to cancel out the effect of the first. 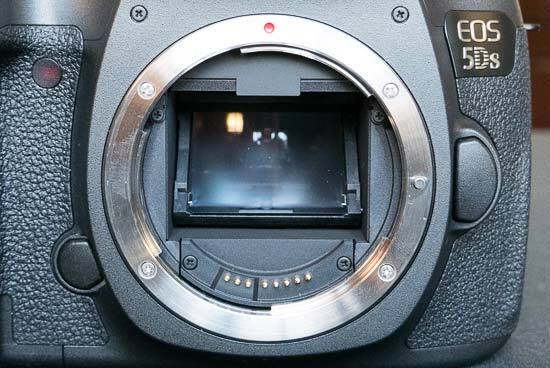 Rather than simply removing the low-pass filter from the 5DS R, this was done in order to avoid making any changes to the design that was inherited from the 5D Mark III, which would presumably have meant costly tooling changes at the factory. One brand new feature in the EOS 5DS/5DS R is a newly-designed mirror vibration control system, which uses cams to drive the cameras’ mirror up and down in a highly controlled fashion, avoiding all sudden stops, softening the shutter-release sound and hopefully reducing any traces of image blur, something that could afflict these cameras when shooting hand-held. One side benefit of the massive 50.6 megapixel resolution is the three new in-camera crop shooting modes – 1.3x, 1.6x and 1:1. Visible through the viewfinder, the crop modes deliver stills at 19 megapixels even when cropped to 1.6x, and 30 megapixels at 1.3x. The 1.6x format also has the advantage of almost filling the frame with the camera's 61 AF points, which should broaden the appeal of the Canon EOS 5DS/5DS R beyond its target market of advertising, architecture and fashion photographers. With dual Digic 6 processors on-board, the Canon EOS 5DS/5DS R can still achieve a respectable burst shooting rate of 5fps at the full 50.6 megapixel resolution, and they provide an ISO range of 100-6400 , expandable to 50-12800. Other key features include the ability to customise quick control screen, a new USB 3.0 terminal, flicker detection mode (inherited from the recent 7D Mark II), and the option of shooting timelapse in movies (which are still 1080p).